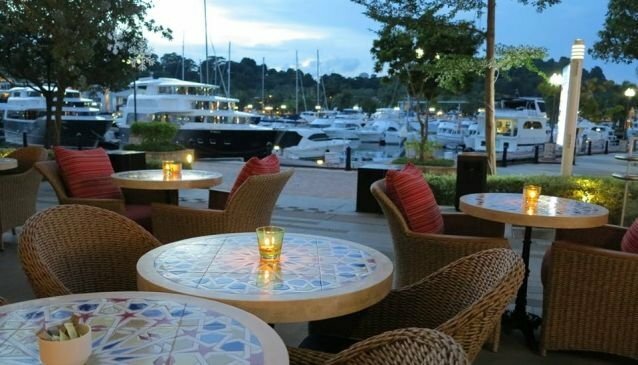 Take your tastebuds on a Mediterranean fling at Miska on the posh Quay Isle of Sentosa Cove. Previously known as the Kebab House, Miska welcomes all guests for a breakfast, a quick bite or an after-dinner coffee or drink. Get into the Mediterranean mood while seating at their waterfront terrace from which you have a pleasing panorama of the Marina harbour. At Miska the dishes are made from fresh products, using a subtle blend of spices and exotic flavours enhanced by homemade sauces and dressings. Here the portions are large and toothsome. You'll be sure to satiate your appetite with their pizza, pastas, sandwiches, wrap kebabs, ceviche, salads or Halloumi cheese from Cyprus. Make sure to try their pita bread to dip into their homemade hummus. Then complement your meals with a wide selection of cold draught beer such as Carlsberg and Stella Artois. Unless you're more in the mood for wine cocktails and specialty drinks available from the bar.